True acceptance allows all to be as it is. It doesn’t want to change anything. Whatever comes and goes is perfect as it is. It has a state of flow to it and even a state of unconditional love that permeates through it. Acceptance in itself has the power to transform any relationship. And even end some or all of the suffering that we have inflicted on each other. And the world at large. This cannot be said about many emotions in this universe. 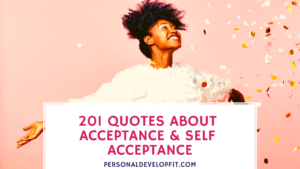 Below are 152 quotes about acceptance as well as 49 self acceptance quotes for you that can help you get to know the meaning of these two phrases more intimately. “My happiness grows in direct proportion to my acceptance, and in inverse proportion to my expectation.” – Michael J Fox. There we are my friend. 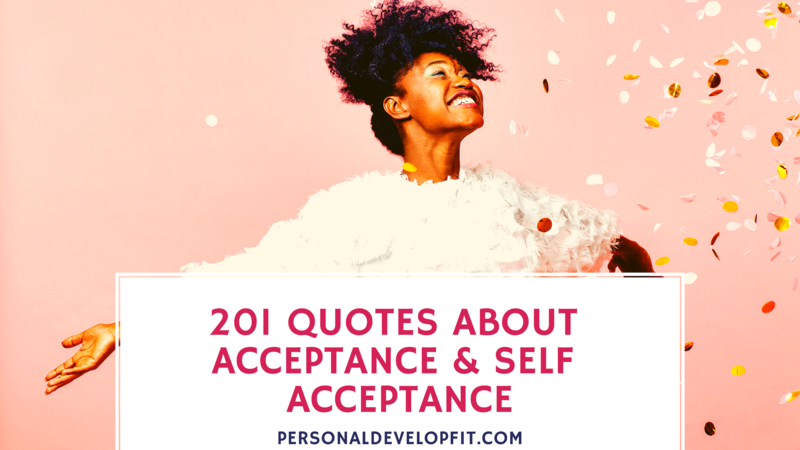 201 quotes about self acceptance and acceptance in general. Share with me your opinion on what true acceptance means do you along with what experiences you have had with self acceptance. And of course what your favorite quotes are on the list! Hope this is reaching you well.